When Helga Schneider was four, her mother, Traudi, abandoned her to pursue her career. In 1998, Helga received a letter asking her to visit Traudi, then 90 years old, before she died. Mother and daughter had met only once after Traudi left, on a disastrous visit were Helga first learnt the terrible secret of her mother's past. Traudi was an extermination guard in Auschwitz and Ravensbruck and was involved in Nazi 'medical' experiments on prisoners. She had never expressed even the slightest remorse for her actions, yet Helga still hoped that at this final meeting she would find some way to forgive her mother. I thought there were several levels to the book. Not only was there the story of Traudi's past, but also the ambivelent mother/daughter relationship and the depiction of senility. This arrived safely in the post this morning. What a read! Probably one of the best I've read this year. I never really had much interest in the Second World War, but I'm going to read some more now. I am not sure, I think that Helga was looking for a reason to hate her mother. This was an easy, quick read but one that will stay with me for a long time. Thank you for organising the ring, Mastulela. I'll pass it on asap. The book is now on its way to Reading-Fairy. Got this book in the mail today. My first parcel to arrive at my new house! Looking forward to reading it but have to finish my current ray - The L Shaped Room - first. I'm in the middle of moving house but i promise to be as quick as i can! Wow! I ended up reading this really quickly. I was just fascinated by the relationship between Helga and her mother. How do you stay and talk to a mother who has committed such atrocities, but how do you walk out on someone you so desperately want to build a relationship with? It's ready to be passed onto the next BXer now. Will send it as soon as i have an address. Powerful reading indeed. The contradictions that arise in so many mother-daughter relationships are brought into the starkest relief by the specific circumstances of this particular relationship. It's a pity Traudi was senile when this last meeting occurred. It would have been fascinating to hear more in her words about why she did what she did and how she felt about it. This book arrived yesterday and I'm really looking forward to reading it. I do have one other ring book to read first but I shouldn't be too long getting through it. I've just finished this book, having read it in one sitting, and wanted to write my journal entry straight away. This was such a moving book to read, I felt so much for Helga and what she was going through. It was horrific to hear about what her mother had done in the concentration camps, and yet I felt compelled to keep reading. I think Helga was desperately trying to find closure when visiting her mother this one last time, I hope in time she felt that she had that. It's so sad when parent/child relationships break down, I can empathise with Helga and what she was looking for in seeing her mother again. For me her journey was summed up when she said "I don't hate her. I just don't love her." I hope Helga has found some peace in her life. Her story will stay with me for a long time to come. I am to pass this book to MrsDanvers, as Tehuti let me know that she had been skipped. I already have her address so I'll post the book on asap. I posted this to MrsDanvers today via second class post. Received in the post today, thanks sunflowergirl. At the end of a short queue of rings. Chilling and thought-provoking in so many ways. The book covers several themes as Helga has her final meeting with her mother; the battles inherent in mother-daughter relationships; senility and dementia; and why women do unspeakable acts. 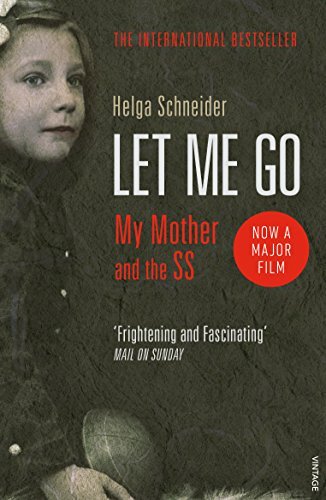 I felt that Helga would have never got to the bottom of why her mother became a member of the SS, which led to her abandoning her children,. even if her mother wasn't senile. Traudi reminded me of the unrepentant Nazis on the recent BBC2 series "Auschwitz", convinced of the right of their cause and many continuing to hold the same values and opinions of Jews. Received in the post today with a lovely postcard and a sachet of decaffinated tea - many thanks MrsDanvers :-) Thanks to Mastulela for sending this out - there's a few books ahead of it, but i can't wait to read it, so it might jump the list! Interestingly, the first thing I noticed about this book (before starting to read it) was that it was translated from the italian, not german. And then throughout the story it became apparent that Helga had become more italian - at one point she even talks about losing the ability to communicate in her mother tongue (German). This made me wonder whether about her life in Italy as an adult, and what had happened to her, and how she escaped / left her German childhood behind. I found this book particularly affecting. How do you as a child / or adult, come to terms with your Mother's neglect and your Mother's actions and decisions? The Mother had such an obsession and fixation with the SS and her notions of duty / obedience, that neither we (nor Helga) cand understand her or feel any sympathy for her. A very sad story, not only because of the terrible and evil war time actions of all the characters (to a certain extent) but also because of the difficult and impossibility of a reconciliation between mother and child. I would have liked to have known more about Helga's life after leaving Berlin / Vienna. If you 'enjoyed' this book, I would recommend the film "The Downfall" ("Der Untergang" in German) about the last days of the war and life in Hitler's bunker, as told by one of his secretaries. An honest, difficult account of the April 1945. Thanks for sharing Mastuela. Have pmed Blaisezabini12, so will post asap. Picked up today from the post office. Thank you Helen for mailing the book. Will post more comments after reading. 13 November 05: finished this book yeasterday...but forgot to add my comments. After I started reading it I couldn't put it down. In a way it reminded me of "The Reader" by Bernard Schlink but I was shocked of the lack of remorse of this woman (and it's even shocking when you remember it is not fiction, but it is a true story!). I was impressed by the fact that Helga had the strength to visit her mother one more time, to find out more about her past, to give her one last chance. Thank you Mastulela for organising this ray. I have pmed to enquire about the 'future' of this book. Received in the post today, didn't realise it was yours Mastulela, how funny that it's ended up back in the midlands! 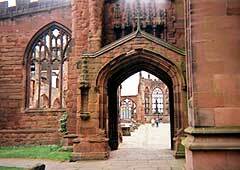 Promise to read it in the next week or so, will you want it posting back to you, or shall I leave it in one of Coventry's OBCZ's? Just finished it in one sitting, I found it un-put-downable. didn't get on with helga as good as I expected. historically very moving account...emotionally a bit too long winded. might pass it on to a couple of non- book xers too see what they think. not as impressed as safrolistics who passed it to me. interesting topic but not very coherent in the line of thinking. possibly because it is not fiction and 'tidied' up.